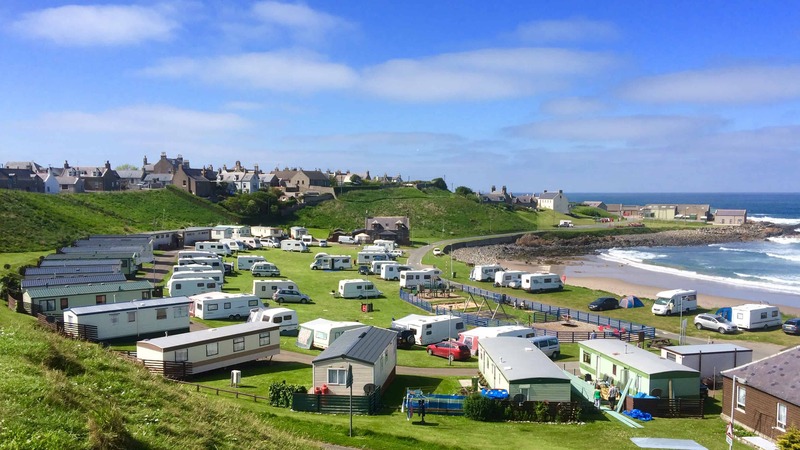 Right on the shoreline of the internationally renowned Moray Firth coast is Portsoy Links Caravan Park. Overlooking the beautiful Links Bay beach and surrounded by rugged headlands, there is no better location to escape from it all and relax. 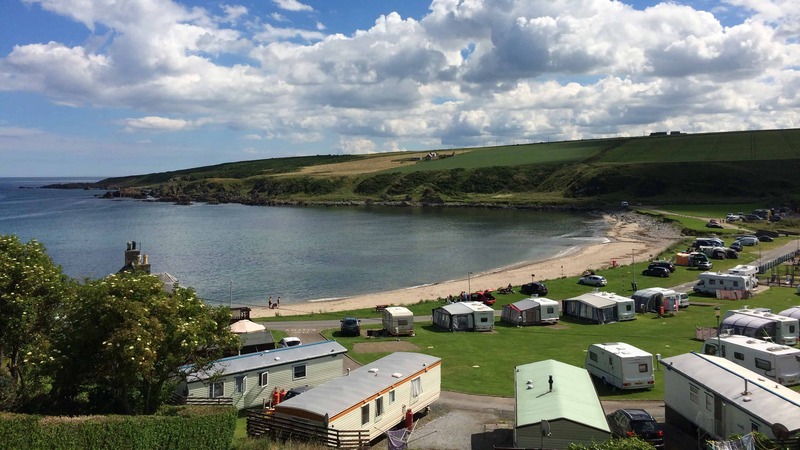 Enjoy strolls by the sea or invigorating walks or cycle rides along the Banffshire coastline where you’re likely to spot some of the local wildlife, including leaping dolphins and diving gannets. 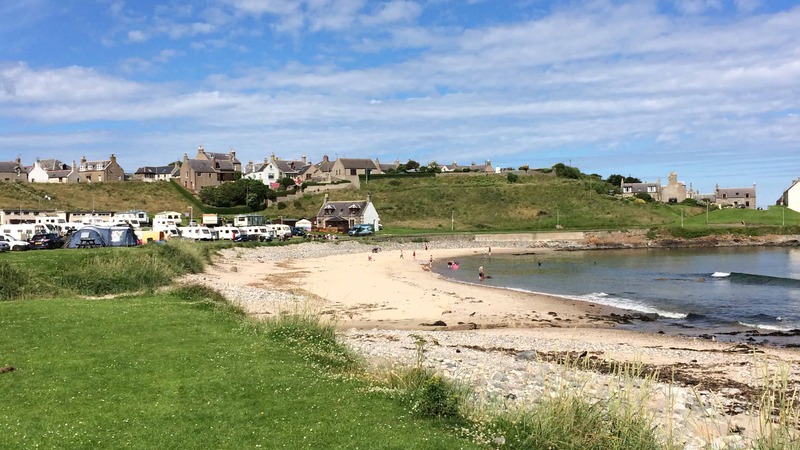 Discover the heritage of Portsoy as you visit the harbour which dates back to 1693, and the beautiful Loch Soy. 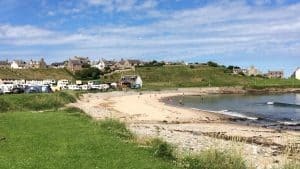 For those looking to learn a new skill, we can even provide the facilities for courses in boat building, traditional music and storytelling! 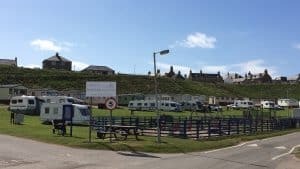 As dusk falls, enjoy stunning sunsets and starlit skies, you may even be lucky enough to catch sight of the amazing Northern Lights. 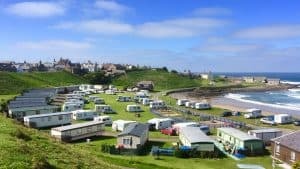 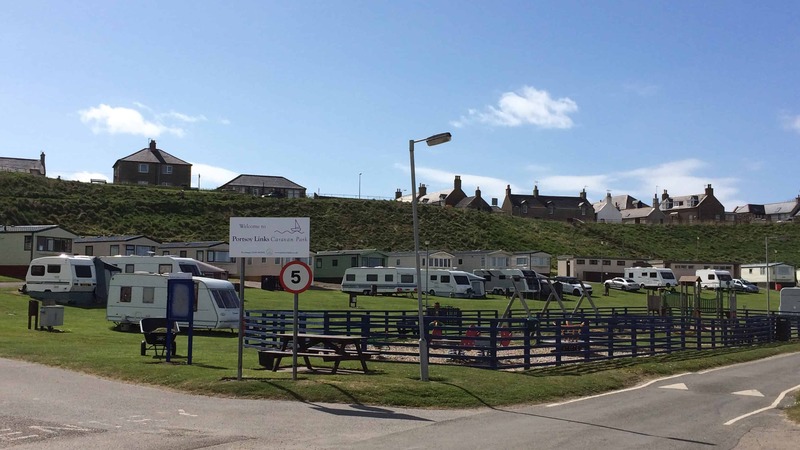 Beautifully maintained grounds, electric hook-ups, free Wifi, spotless showers and toilets (including disabled facilities), combined with a warm and friendly service from our team – Portsoy Links Caravan Park really does provide you with the charm and comforts to allow you to explore and enjoy this remarkable area.